The British railway is, for a variety of reasons, awash with acronyms and codes of various kinds. This web site sets out to explain some of these related to the infrastructure and to operational issues. Not included in this site are abbreviations of company names, or information about trains themselves: this information is available elsewhere, and the editor's main interest lies in infrastructure. Taking Aspley Guise as an example, the codes BBM and MD140 apply to the route on which Aspley Guise station sits, and APG, 138000, ASPLEYG, and 62051 (ASPLY GSE) apply to the station itself. All of these codes mean different things, and are used in different ways. This site helps to explain these codes. Also on this site are lists of pseudo-legal data. The first is a list of British railway services introduced under special legislation. This legislation allows operators to consider certain services as "experimental", and withdraw them if considered necessary without going through full closure procedures. The second is a list of licences and licence exemptions issued by the Office of the Rail Regulator. There is a list of routes designated as community rail partnerships, and finally a table of franchises with associated dates. Information about other assets such as signal box prefix codes, electrification mast codes, stations, depots and tunnel lengths is also available here. 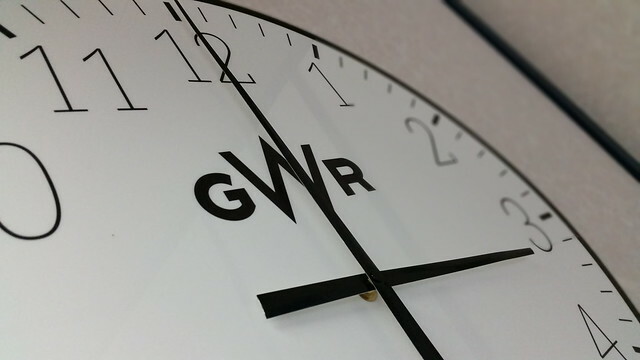 For more information about day to day changes with Britain's railway infrastructure, please refer to the infrastructure section of the Railway Observer. Most of the information contained in this site has taken many hours and letters to different companies to compile: it is hoped that you, the reader, will find it helpful to shed light on some of the codes found in railway documents. The records contained in this site are as complete as possible. If you are able to add to the data, please contact the editor. Please feel free to quote this site. However, please credit it as your source. Feel free to add a link on your website to here. The use of a reliable host and dedicated domain name is courtesy of a generous supporter, to whom the editor is indebted. Reasonable costs paid: please contact the editor if you can help. Thank you. Additionally, the editor has two uniform ties that are unidentified, shown here. Do you know which organisation issued them? Does your company use these pages? Let the editor know to be added to the list!